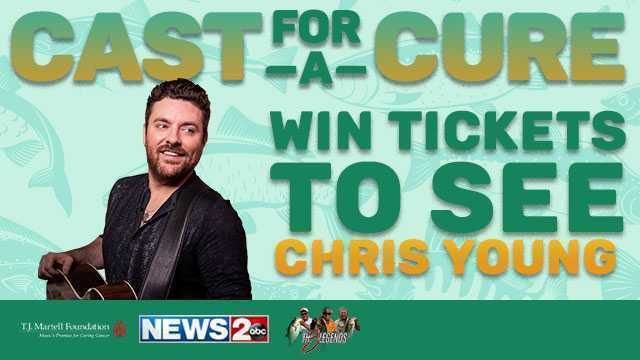 Enter to win a pair of tickets to a Chris Young concert. News 2 and Chris Young are proud sponsors of Cast for a Cure, which raises money for the T.J. Martell Foundation supporting cancer research. The Big Bass Fishing Tournament is happening Saturday June 1st at Sanders Ferry Park in Hendersonville. For more info & to sign up click here. Enter to win now through May 24th at 5 p.m.